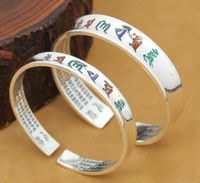 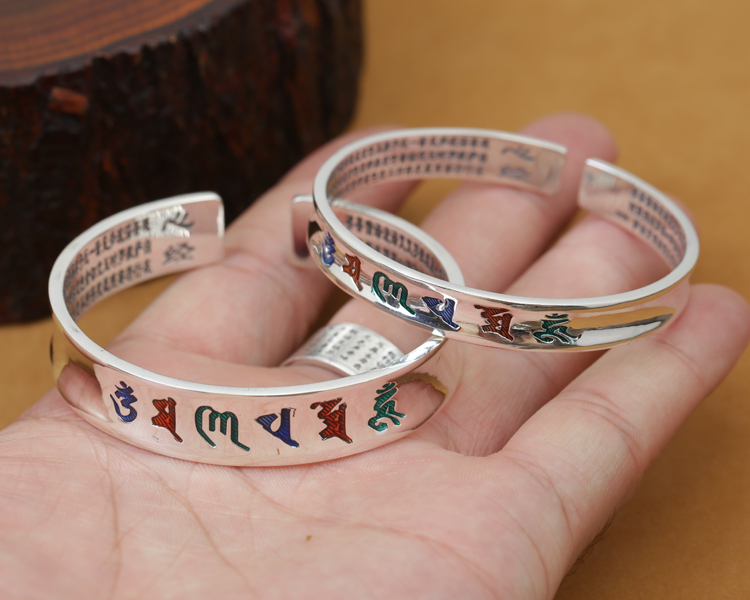 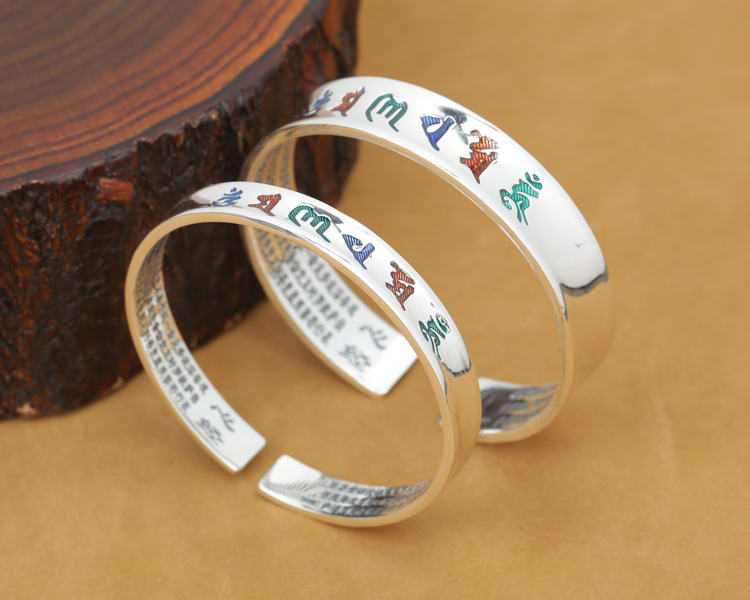 Tibetan Pure Silver OM Mantra Bracelet Handmade Tibetan 990 Silver Bracelet. 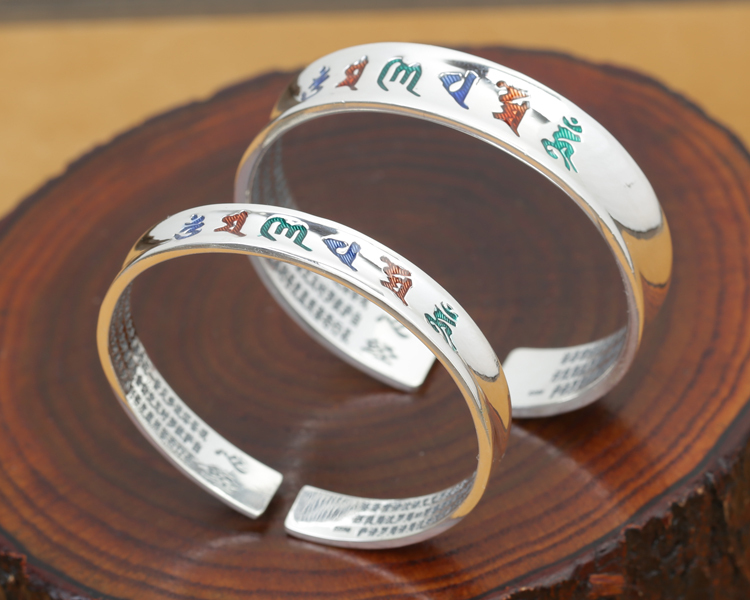 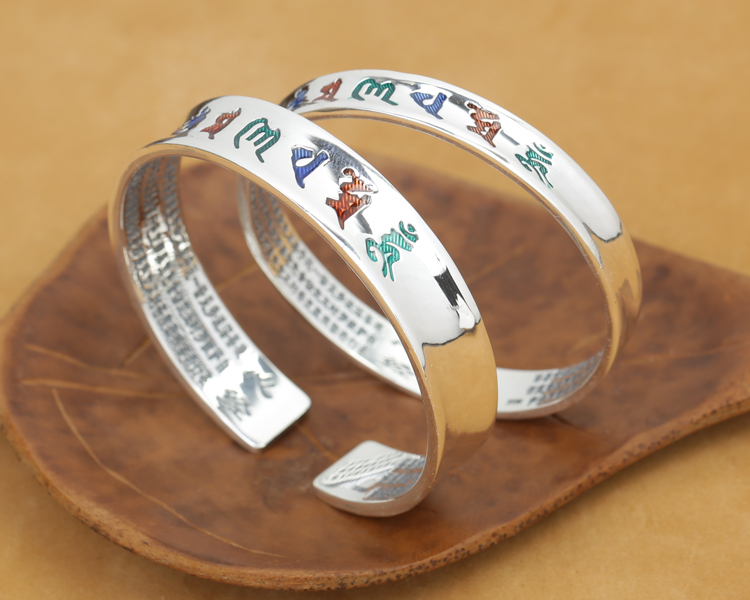 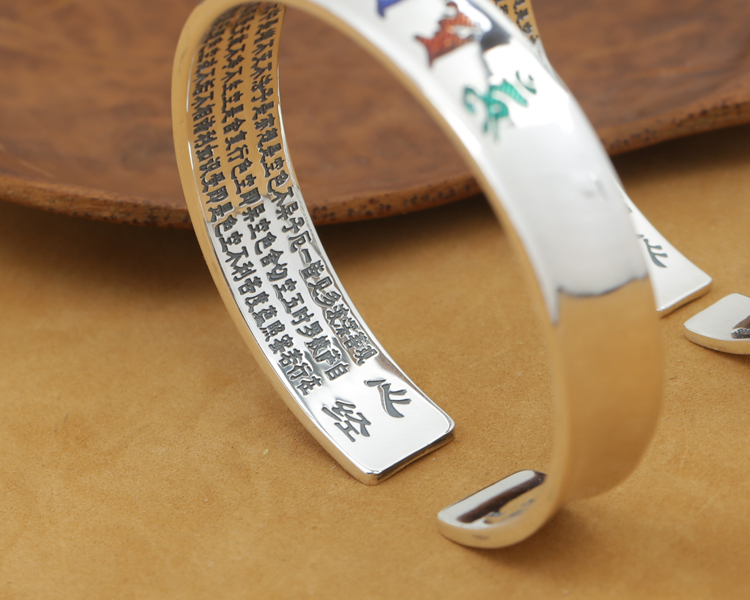 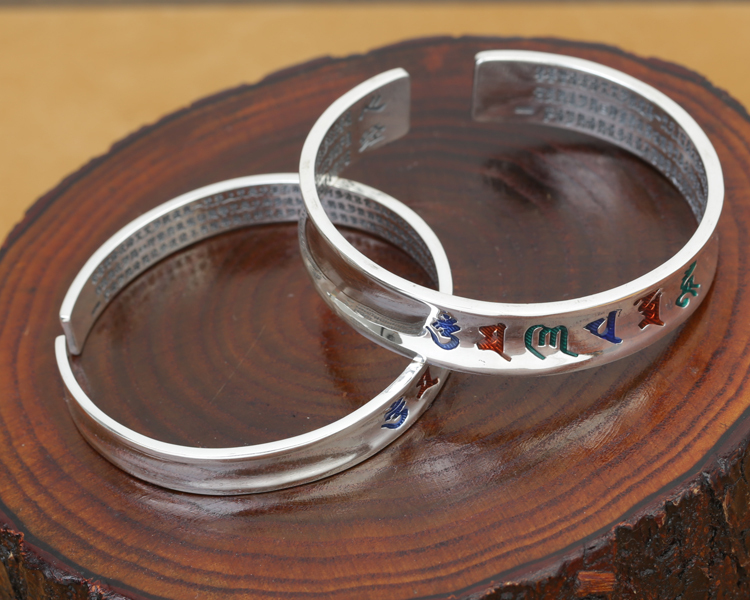 This bracelet was handcrafted by the Tibetan Craftsmen from 990 pure silver in China. 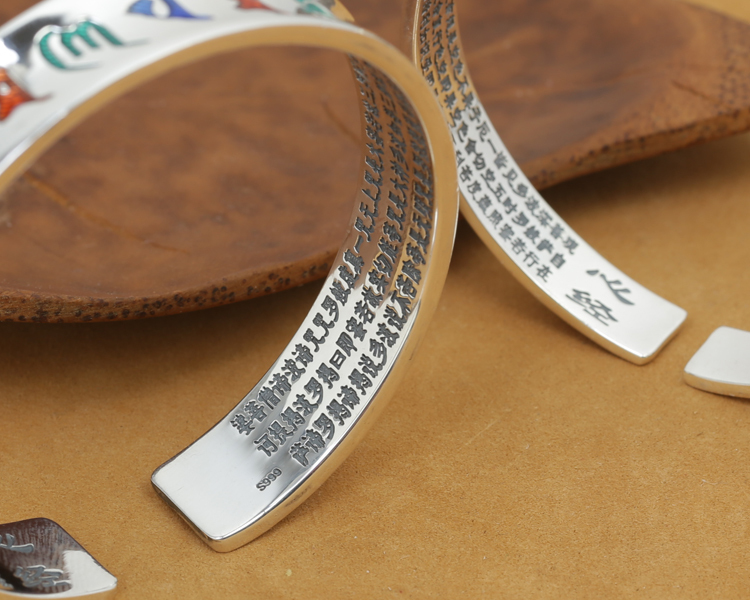 Small - width 8mm, weight 22.3g; Large - width 12mm, 36.3g.